Your prince charming, your knight in shining armour, your hero! For his ability to go with the flow of the wonderfully hectic pace of planning a wedding, here's a gadget that will please him most definitely. What is FLO TV? It’s no more buffering, downloading, and streaming. It’s breaking news, live sports, hit shows – whenever, wherever. 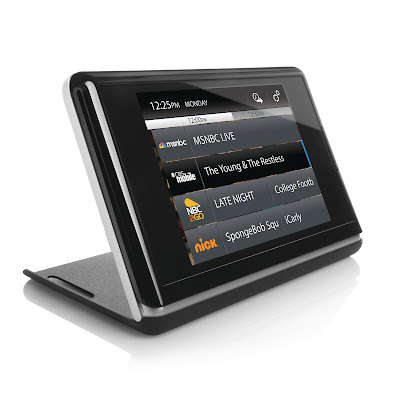 The FLO TV™ Personal Television is a one-of-a-kind digital hand held TV that keeps your guy connected to his favorite shows. The gadgets runs programming from ABC, CBS, CBS College Sports, CBS News, CNBC, COMEDY CENTRAL, Disney, ESPN, ESPNEWS, FOX, FOX News, FOX Sports, MSNBC, MTV, NBC2Go, NBC, NBC News, NBC Sports and Nickelodeon. With a sleek design, a 3.5-inch touchscreen, and America’s favorite programming, it's the ultimate dedicated device for TV viewing on-the-go. Just make sure he doesn't bring it to the wedding!